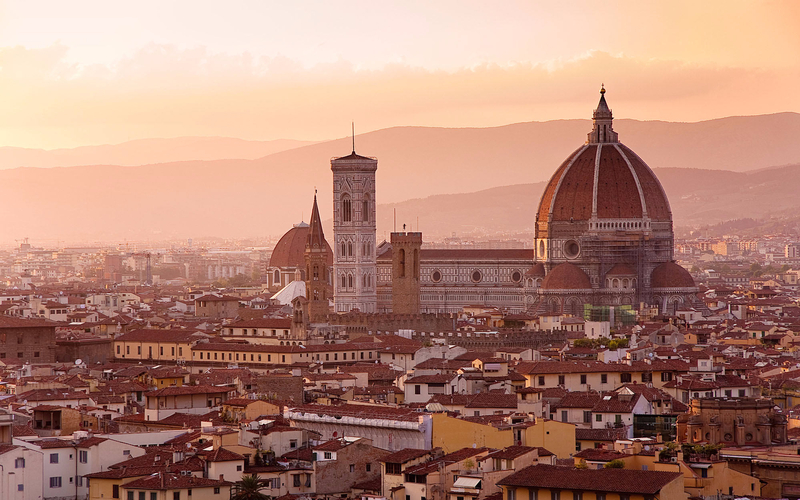 Your perfect morning in Florence begins with a drive along the serene Viale Dei Colli to the Piazzale Michelangelo from where you can take in a 360-degree panoramic view of the entire city! 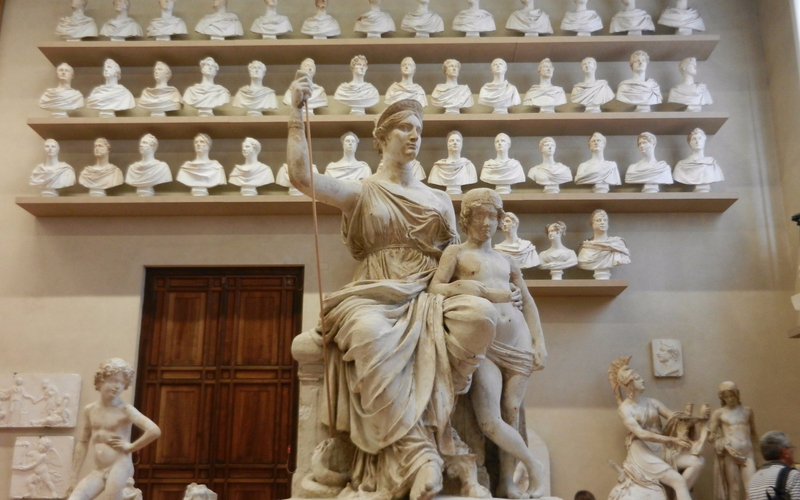 After this, you will enter the Accademia Gallery - Florence’s famous gallery - which houses the David - an intricate sculpture produced by Michelangelo. Once you’ve discovered the artworks within the walls it's time for a walking tour of the old city center. Marvel the architecture and intricacies involved in building the magnificent edifices including the San Lorenzo Church, the Duomo Complex, the Baptistry, Giotto’s Bell Tower, Cupola del Brunelleschi and much more! 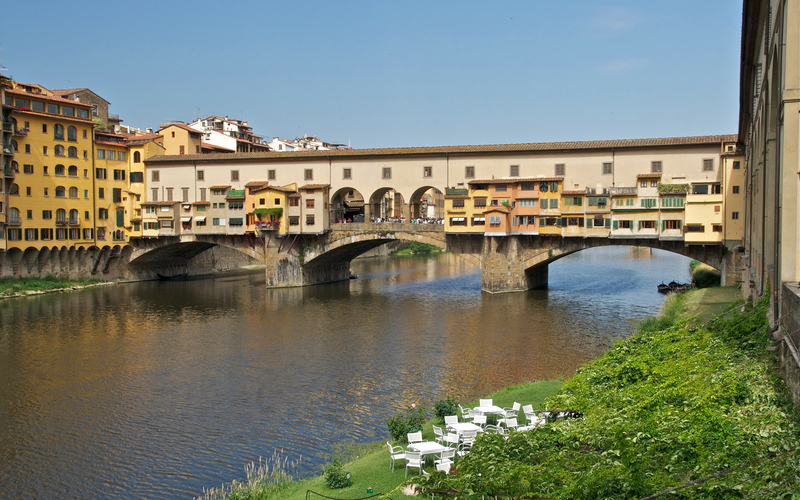 Discover the Renaissance-inspired architecture of the Baptistery, Porta del Paradiso and more! The tour is available Tuesday through Sunday and begins promptly at 10:30 AM. The Gallery is open from Tuesday to Sunday from 8:15 AM - 6:50 PM. The gallery is closed on Mondays. Your ticket is valid only on the selected date and time. Please arrive at the meeting point 15 minutes before your scheduled tour time. 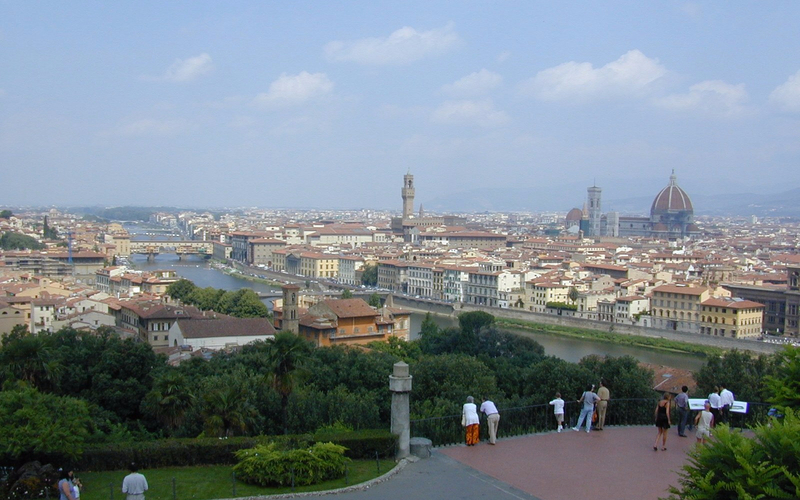 The meeting point is located at Piazzale Montelungo - Bus Terminal, Next to Santa Maria Novella Train Station, Firenze. Look for our staff wearing a FUCHSIA CIAOFLORENCE JACKET. You will receive another email with your mobile voucher shortly. Please display the same on your mobile phone with a valid photo ID. The Accademia Gallery is closed on Mondays. If the reservation is booked for Monday, the Accademia Gallery is replaced by the Saint Mark Museum on the 1st, 3rd and 5th Monday of the month and the Medici Chapels on the 2nd and 4th Monday of the month.